14 Cookies~Create Your Own Sweetheart Tin, select 7 flavors, 14 cookies for the 14th of February. Create a tin for your SWEETHEART. 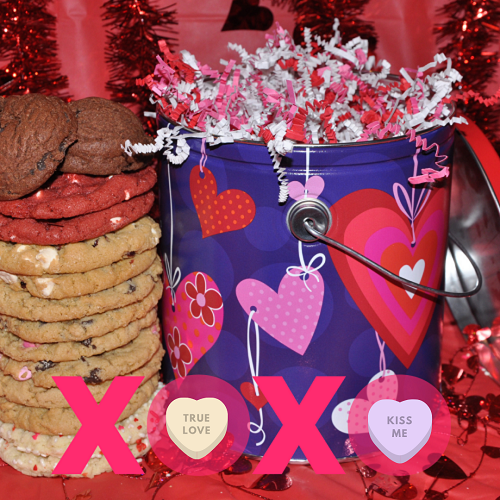 Choose 7 Flavors and we put it in our Valentine Tin! 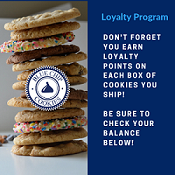 We will make it special with your sweetheart's favorite cookies! Cherries & Cream: Cherries and delicious Guittard White Chocolate! Smooth, like a fine wine!